Check out this blog ‘cuz it’s awesome. Regretfully, I only ride my bike during our annual Newport Beach trips. I love taking a ride down to the pier or to The Wedge; this year I’m super excited about putting Miss Sunshine in one of those great baby-bike seats and taking her on long rides in the salty California air. If Sunny could talk she’d pretty much beg me to get her this play dress. I’m not kidding. 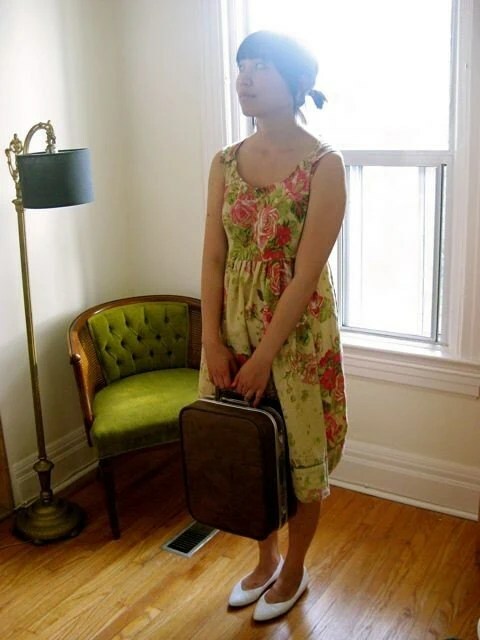 Maria over at kid*a*collective has in stock some of THE most adorable and comfortable looking dresses I have seen. I think the color combinations, the center stripes of fabric, the soft linen, the puckered neckline and sleeves….are all so beautiful. I wish she had them in big-girl sizes. Then Miss Sunshine and I could be all matchy-matchy. You know how when you have a party you do all kinds of cleaning to get ready? Maybe you tackle a couple of projects around the house that you’ve been putting off, just so things look super nice when your guests arrive? That’s what we were doing through the end of last week — cleaning, sprucing up the yard, putting things away. Yesterday we had a little BBQ with my husband’s family to celebrate a couple of birthdays. It was small and lovely and just the motivation we needed to pull the house together. As I walk around this morning, I find myself motivated by how nice and tidy everything looks; I would really love to keep the house Party Ready for as long as possible. It’s kind of turning into Awesome Item Every Other Day, huh? A crawling baby and life and the summer have completely taken over, so please forgive the more sporadic nature of my posts. That said — on to today’s great piece. Angie Warren of The Creative Mama (awesome blog, by the way) has a great little shop over at etsy, Angie Warren Designs, where she sells the sweetest Mommy/Playdate cards. Through an awesome giveaway she hosted I was able to get my hands on a set and they are truly fabulous. It was very timely, too, as earlier in the week I had met a new mom and her baby — I would have loved to have had one of these on hand. Instead I had to find a receipt at the bottom of my bag to scribble my number on. Next time, though, I am armed with one of these little beauties. Miss Sunshine has mixed feelings about wearing hats these days. If she forgets that it’s on her head, everything is fine. If, though, she realizes that it’s there her first instinct is to take it off. I am going to have to work with her on that, particularly now that I am totally swooning over this urban baby bonnet from ub2. I mean….I’m kind of at a loss for words with this one. Head over to her shop, browse through some A.MA.ZING pieces of art/fashion, and you’ll understand why I am so coo-coo for cocopuffs about it all. Now that I’ve updated you on my whereabouts, it’s time to share some goodies. 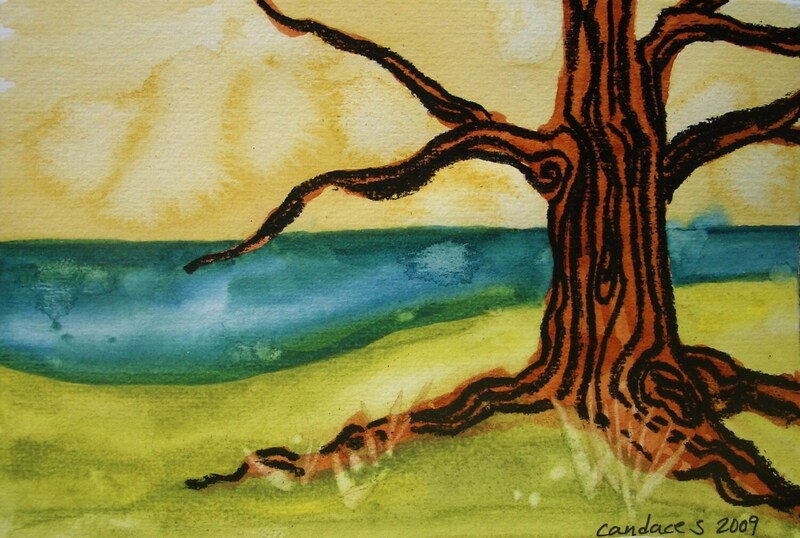 I thought I’d open up this week with a super lovely little watercolor and ink piece over at Free and Beyond. It’s so bright and a beautiful representation of morning. I love that it’s fairly small and can be put in a sweet frame and displayed in a charming spot. I can imagine this being a perfect anniversary gift. First, I traveled to California over the Fourth of July to spend the holiday with my family. My brothers and I, floating. Once I got back from that…well….I simply lost some focus. That quickly turned in to planning for the next little trip, which was up north with Miss Sunshine to spend a few totally radical days with my BFF and her little girl. Miss Sunshine to the right, Little Bear to the left. THEN, once we were back from that, I became involved in Camping Prep Craziness, 2009. This past Friday my little family unit went up to Little Pond in the Catskills to rough it for a few nights. It was pretty fabulous, save having to set up camp in a torrential downpour and having the baby adopt some pretty wonky sleeping behaviors both nights. On top of it all I have been trying to fit in some sewing and stocking of the shop. This one isn't yet named -- any suggestions? Now I’m back, feeling recharged, facing a few quiet weeks before my next trip back to CA. I hope to find for you some pretty Awesome Items in the coming days. Stay tuned. You all know how it is — sometimes you like something just because. You can’t quite put your finger on what exactly it is about an item that catches your eye or makes it just so perfect for you and your tastes. 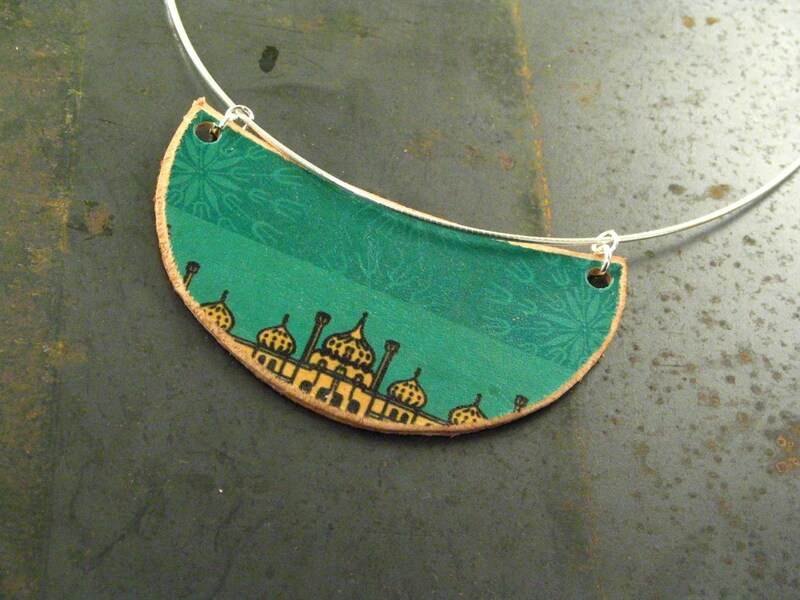 So it is with this beautiful leather pendant over at Flight Path – I am totally digging the shape, the skyline, the colors. Oh the fabulous colors. And the technique she uses sounds fascinating: “similar to a ‘tattoo’ process, where the leather completely absorbs the ink.” Totally awesome sounding, right? The quickest path to my heart might have to be through the beach. Anything beach. I love being there, thinking about it, listening to beach sounds, breathing in beach air. Every summer since I can remember my family has spent a week at Newport beach, where all we do is sit by the water, play Smashball, eat yummy food and ride our bikes down to the pier. I love it. I had to miss the trip last year because I was so pregnant at the time, and I swear a little piece of my soul went missing that August. This year, though, I am so. geared. up. for the annual Newport trip – I can hardly take the anticipation. PLUS, Miss Sunshine will be there, for the very first time, eating sand and putting her toes in the Pacific. Can’t wait. I am back in NY after a super fabulous trip out west. It was so great getting to spend such quality time with my parents, my brothers, and good friends. It is hard living so far away from all of them, especially now with Miss Sunshine in the picture — so it always means a lot when we can get together with the grandparents and aunts and uncles. Now that I’m back it is time to share with you all another fantastic little find. 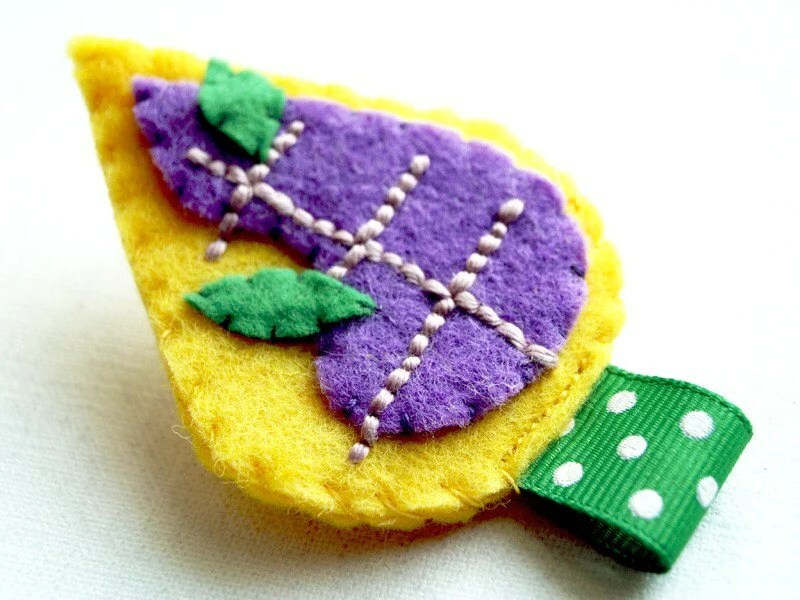 This brooch over at Ulaa’s Bazaar encompasses everything that I love – felt in bright colors, sweet stitching, natural elements (a leaf! ), and just an overall thoughtfulness that is so hard to pass up. Her shop is incredibly fun to browse around, so be sure to swing by. Sorry for the lack of Awesome Items these past couple of days! I am in California with my parents and my brothers and am focusing on family. We travel back to NY on Monday, so watch out for the next goodie on Tuesday. Until then, have a fabulous holiday weekend! I love birds-on-wire silhouettes. I’m not sure why — maybe because it reminds me of summer, or California, or community. One of my favorite sets of notecards are these from HeatherJeany (one of the all time most awesome etsy shops, by the way.) 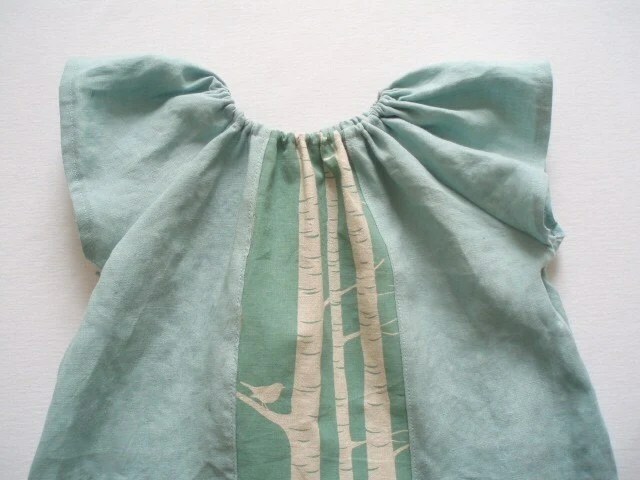 And just this morning I was psyched to stumble upon this super sweet birds-on-wire baby-tee from Jessie over at Bubby‘s – everything she does is one-of-a-kind, hand-dyed, so simple yet meticulous. I can imagine her sitting down at her table thinking, “hmmm…what design do I want to work on today? What fabrics and colors am I feeling inspired by this morning?” — much like the conversation I have with myself when making my pouches. One reason, surely, why I’m so taken with her work. I’ve posted about a wrist cuff before and today had to share with you another one. This triple-strand cuff from Amy over at Ponder and Stitch is so different in its design. 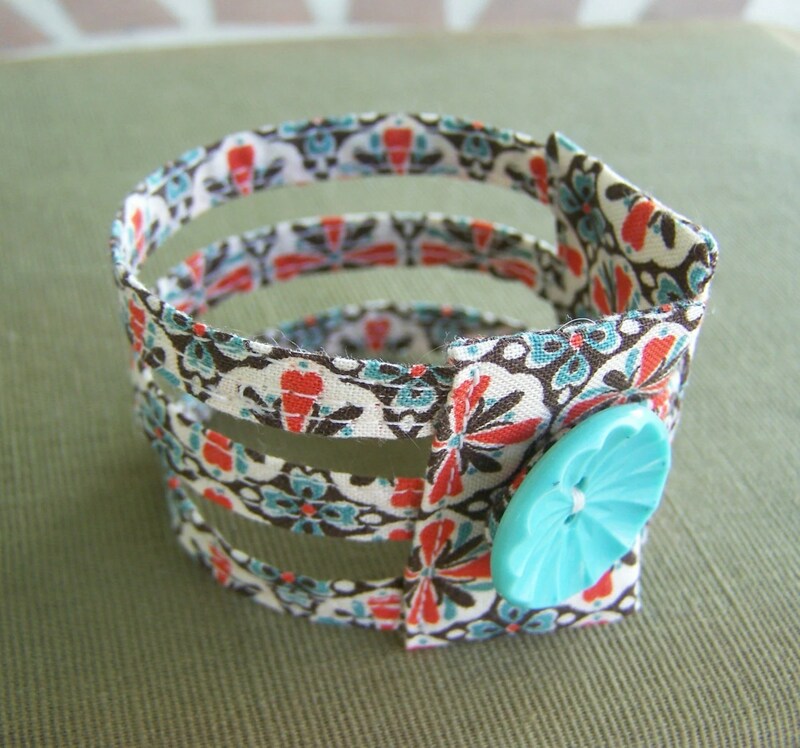 She’s named it “Triple strand retro print fabric cuff bracelet in the best colors ever”, which is pretty much the coolest item name ever. And so true, at that! I am a big fan of reds and blues combined together (my wedding colors!). The button detail is so bright and fabulous, the triple stranded fabric bands so different and beautiful on the arm. Perfect for summer. Sorry that I missed Friday’s Item! Bus-Stop Boy had been away all week fishing so I was on my own with Miss Sunshine — needless to say, by the time the end of the week rolled around I was feeling a bit stretched. That said, welcome to the second to last day of June. As we move into July, all I can think about is wearing sweet skirts and dresses. The Tea Roses Jumper from Dep over at Depanneure Royale is light and summery and fun. She pulls her jumpers together from a variety of beautiful fabrics — I just happen to be particularly taken with this lovely rose cotton. 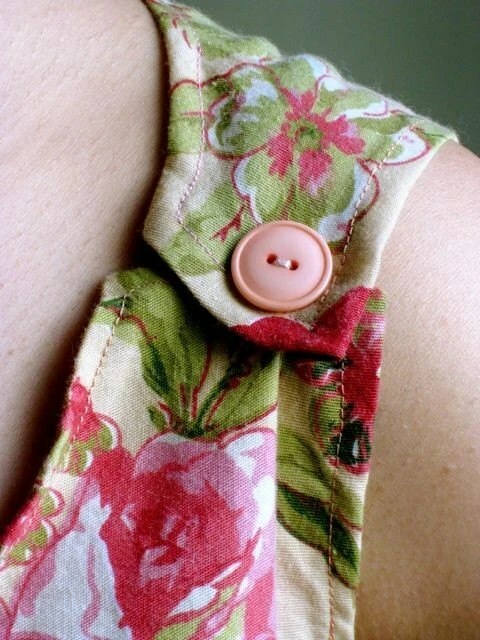 I LOVE love love the button detail at the shoulders. I just want to slip this on and run through a field. Yeah yeah, I know it’s June and that most of us are wearing shorts and tank tops. Certainly isn’t the BEST time for winter-wear, but this just has to be shared today, season notwithstanding. 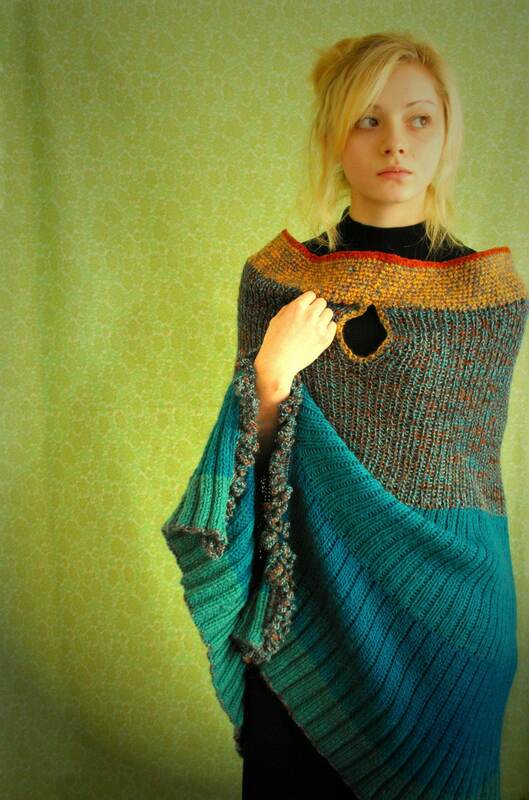 This crocheted long cape from Crochetlina Couture is so stunning, so thoughtful, so meticulous. I love the drape, the colors, that fringed opening down the side, the keyhole at the neck. So beautiful. Can’t take it. 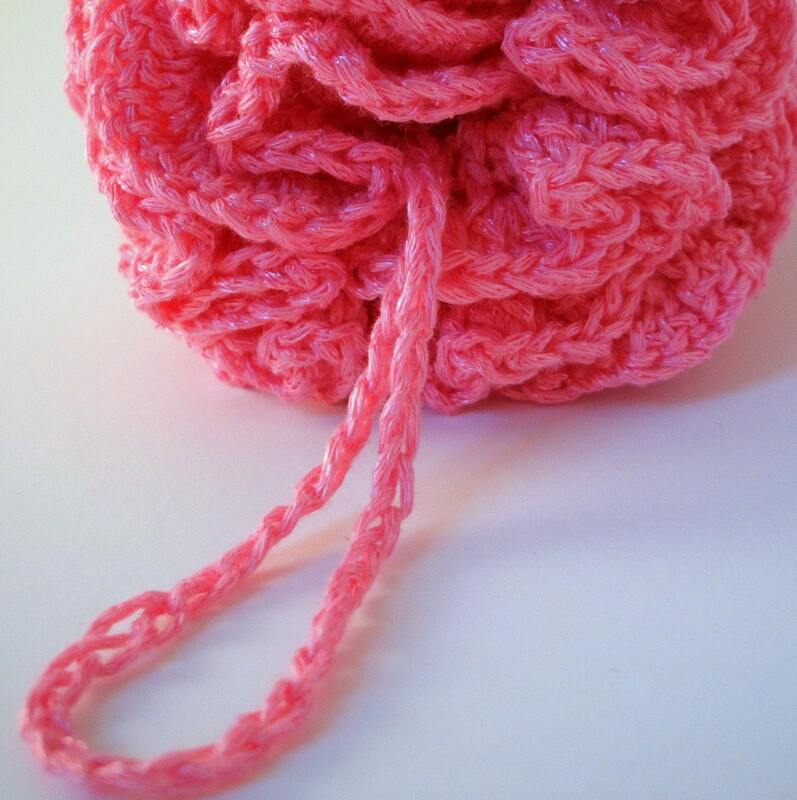 Doesn’t this pink loofah from befriendmantic’s Crafty Delights look divine?? I’ve never seen a crocheted bath sponge before and I totally love it! The pink is so bright and fun – I can imagine how soft and luscious it must feel all dripping with soapy bubbles. My current washcloth would be no match for this little scrubber. I’ve had my eye on this for a while now and don’t know why it’s taken me so long to share it with you. 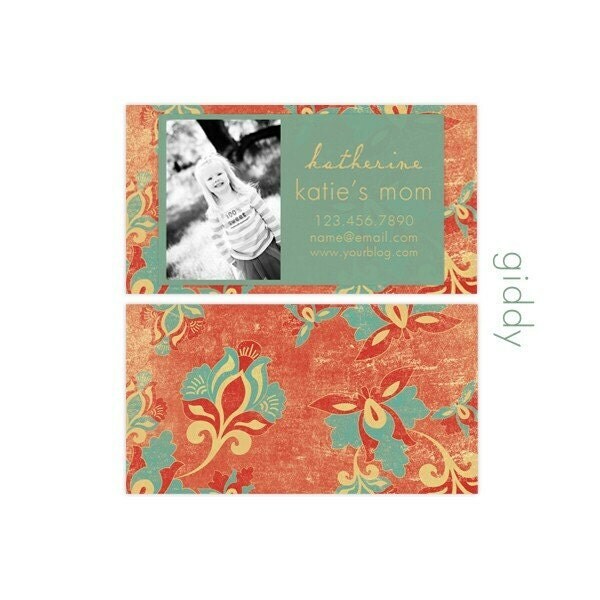 Grace over at Grace Hester Design has some truly adorable, but not too cutesy-cutesy, graphic prints. 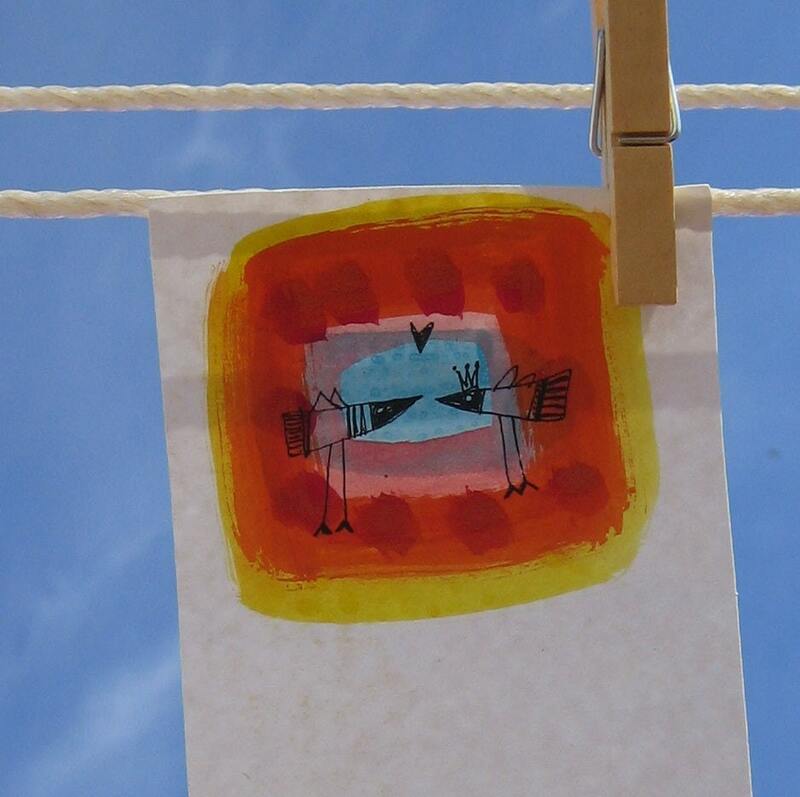 I love this Dragonfly print in particular – the color, the proportions, how it’s both simple and striking. 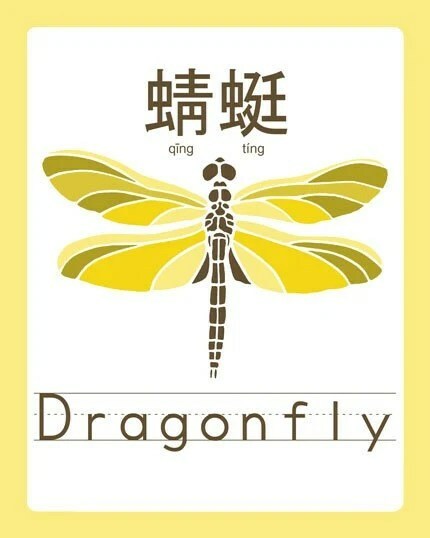 What’s even more great is that it includes the simplified dragonfly name in a language of your choosing — French, Spanish, Chinese… She has many other animals to choose from, as well. How fun it would be to collect and display an entire set! The big day is here! Angie over at The Creative Mama is celebrating her 100th post by hosting a Day of Giveaways!! I am lucky enough to be a part of it and am excited to send off the goodies to whomever the lucky winners are. There are two pouches up for grabs so definitely head over and enter. Angie is incredibly supportive of creative women runing their own little businesses, so be sure to browse around through all of the fun items she has up for grabs. This is the first giveway that I’ve been a part of and I am very happy and grateful for it. 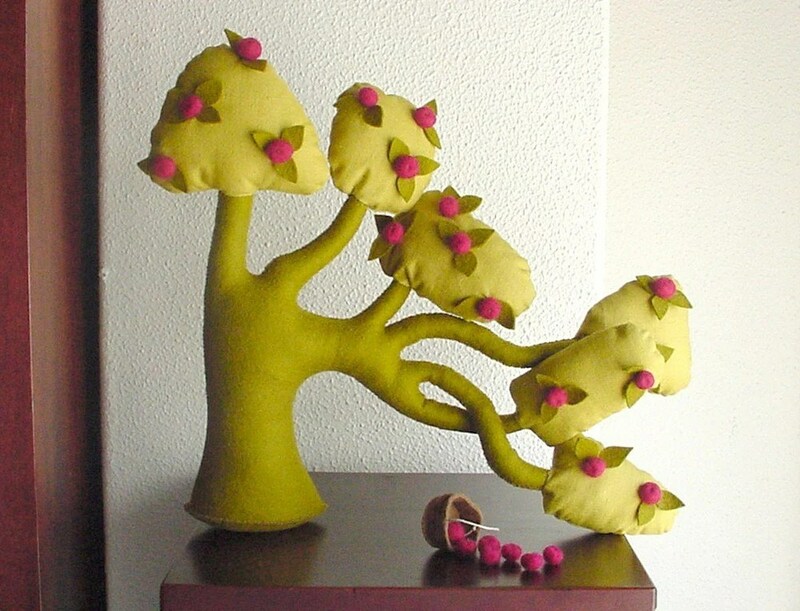 Take a pause for just one minute on this lovely Monday morning to check out today’s totally awesome item – a felt and linen apple tree WITH…so rad…a felt basket of felt apples!!! This Tree of the Wind Apple Tree from Intres would make the most charming centerpiece or mantle decoration. And while the small parts might not be the best for my uber-curious 9 month old right now, I can imagine this to be a pretty sweet part of a child’s make-believe world. Snag these and one of her Princess Towers to create and entire scene. Learn more about Intres here. 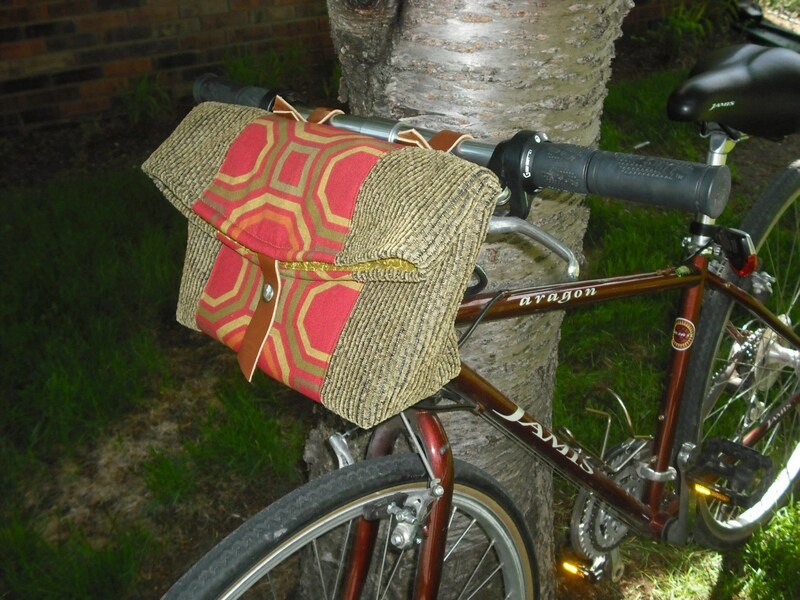 I currently don’t own anything like this….but now I want to. This black and white cotton dress/skirt/tube top works so well in so many different ways. 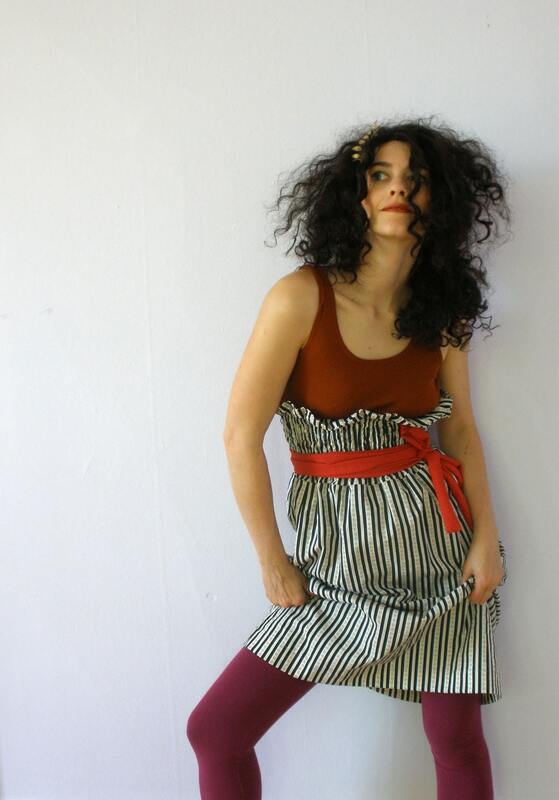 I seriously love every permutation of the piece, especially when paired with the red belt. Everything my Miarae over at Bewakeful is so different and inspired – the photography alone is a reason to go visit. I was lucky to participate in a trade with Blackbird Design House — now I have my own Awesome felt bowl to love and admire. Photos can’t do justice to how cozy and sturdy it is. I love it. I have a little stockpile of favorite items and shops that I like to pick my Awesome Item from every day. I just found this item about a minute ago, though, and couldn’t wait to share it with you. 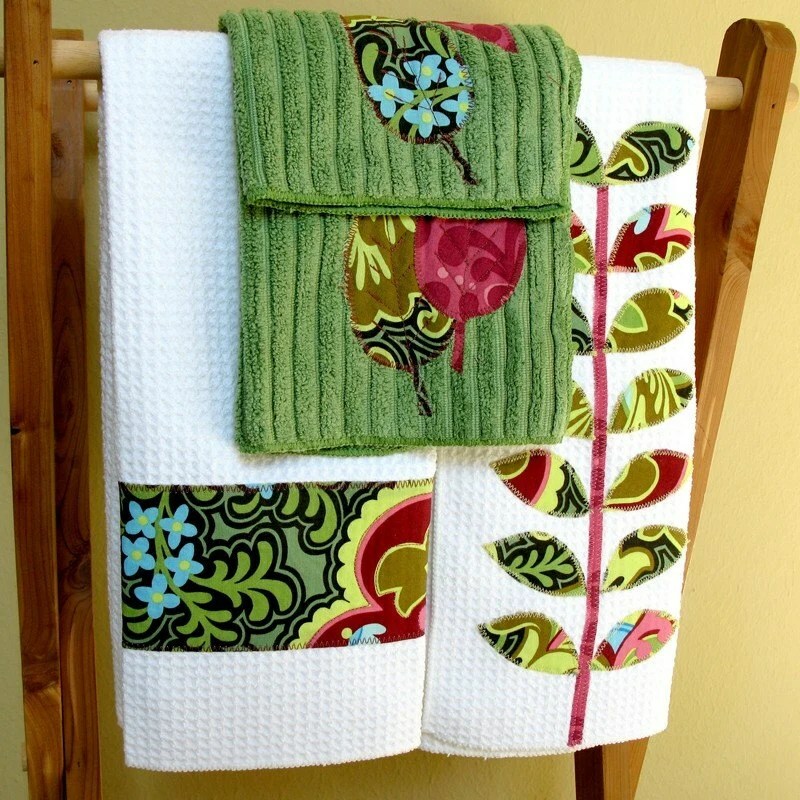 This kitchen towel and dishcloth set over at The Mudd Puddle is so bright and happy – perfect for some summertime space sprucing up. The colors, design, and stitching details are so pretty and well thought out – I’m actually feeling inspired to do a bit of decorating. Okay. This pretty much looks like pure luxury. 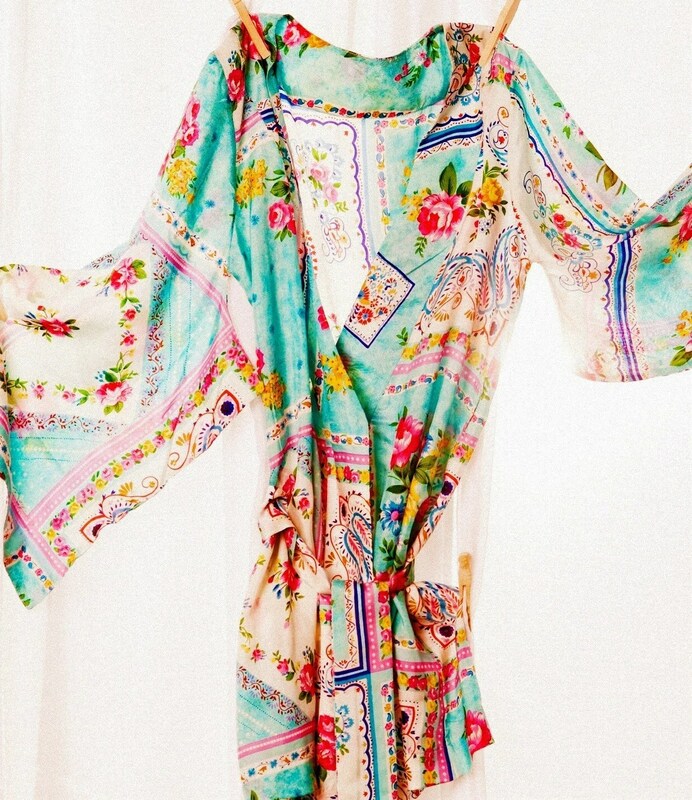 I like to imagine slipping this amazing Kimono from Plum Pretty Sugar on in the morning or after a shower, floating around my house and feeling just oh so fancy as I do the dishes and feed the baby. Seriously — we all need something so elegant and special, especially on those days when we’re feeling a bit plain. I love this particular kimono for the drape, the colors, that the silk comes from travels to India; it’s all very mysterious and fanciful, just what I need sometimes on a Wednesday morning. Find out more about the shop here. Sometimes I stumble across an Item that I just find so unique and creative and different; like the, “I’ve never seen anything like this,” kind of scene. 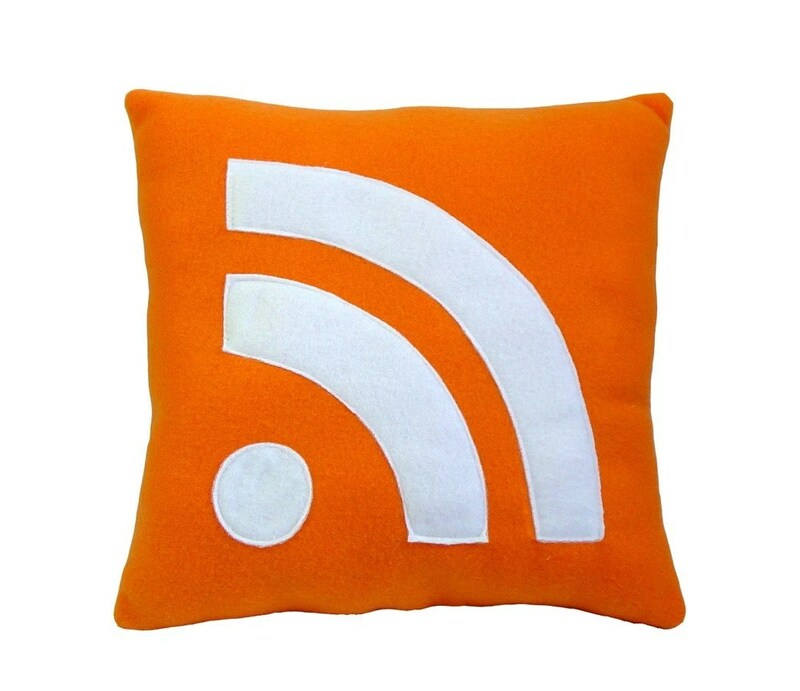 This RSS Icon Pillow over at Craftsquatch is one such item. I mean, inspiration is found in the craziest of places; in this case, that tiny little orange icon we click on any time we want to follow a website we like. Who would ever think, though, to use it as a pillow design??? This guy. Awesome.